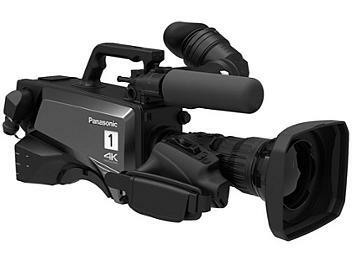 The AK-UC3000 is a 4K broadcast grade camera equipped with a newly developed MOS sensor. The camera exhibits excellent interoperability with B4-mount HD lenses, achieving high sensitivity HD images (F10/2000 lx) with low noise (S/N 60 dB). New features inlclude focus assist, flash band compensation, and skew reduction which is realized through high-speed scan from the MOS sensor.